One of the many things I love about Folkmanis puppets is the variety of puppets they offer - and they continue to release new puppets every year! Who would have thought a pelican would make a fun puppet, but after seeing Folkmanis' Pelican Puppet, I have to say, this is a great puppet! It is plush, surprising and fun . . . and I'm very happy to say, it is part of my 2016 Christmas Giveaways! Attention is given to quality, design and detail - this is a wonderful puppet! Pelican has a "fish" which fits in it's mouth - adds to the fun! Folkmanis says; "Dive in for fun with the Folkmanis® Pelican Puppet. Realistically designed with shiny, wet-looking "feathers" and large webbed feet, you'll love the whimsy of her 'swallowing' mouth with a wiggly fish snack attached. Scoop up this hilarious water bird before it flies off store shelves!" I love puppets! They encourage imagination and interactive play! 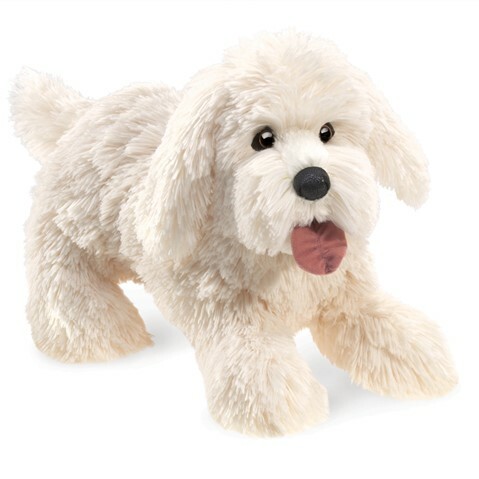 I also love plush toys - they can be comforting and a stuffed toy often is a "first friend" to many children. Folkmanis combines these two features for amazing plush toys which are also puppets! Plus, they often choose unique creatures - like a pelican - to make into puppets, which just adds to the fun! I'm very happy to say I'm giving away the Pelican Puppet on November 14, 2016 (USA only)! If you live in the USA, are over the age of 18 and want to enter the giveaway for the Pelican Puppet, please comment below to let me know a creature you would like to see as a puppet - I think an okapi would make an amazing puppet! In addition, you will receive additional entries if you have followed on Google+, Google Friend Connect, followed by liking on facebook with the tab at this link (not just liking the post) and/or have followed grandma's cookie jar by email. For each of these which you have done you will receive one entry. In addition, if you "share" this post, you'll receive an additional entry (please let me know if you share). This will help me be able to draw names from among people who would like to win the Pelican Puppet and it gives you several ways to enter the give-away! I'd love to see an eagle puppet. A red tail hawk would be fun for my Grands since one had a nest in one of our trees this summer.